Quick response and everything is fine. Prompt deliveries and great prices. quality products and speed delivery at competitive prices. 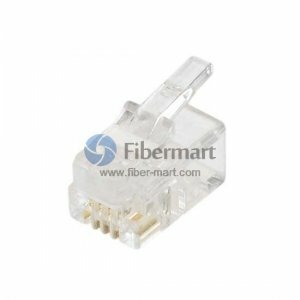 Fiber-Mart can supply lots kinds of telephone modular jack & modular plug & modular plug covers, as well as series of Cat5e, Cat 6 modular plugs & jacks. For more information, please contact our sales representative right now. Save your time & money for your business or project !